We know more about obesity today than ever before, yet ironically, little progress has been made in preventing or treating this disorder. This book brings together an impressive group of 33 high-caliber professionals who are leaders in the field of obesity to cover a variety of topics and perspectives. 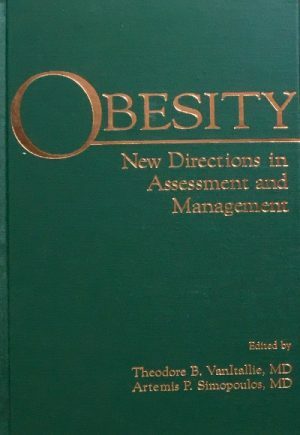 It provides a state-of-the-art view of the current management and treatment of obesity; offers an in-depth analysis of the adverse effects of obesity on health, longevity and state of mind; and describes the newest and most effective methods of dealing with the pathogenesis of this widespread disorder. 1. Body Weight and Mortality — Caren G. Solomon, MD, et al. 4. Assessing Impact of Weight on Quality of Life — Ronette L. Kolotkin, PhD, et al. 13. The Stages and Processes of Weight Control — John C. Norcross, PhD, et al. 15. An Interdisciplinary Approach in a Nutrition Medicine Clinic — George L. Blackburn, MD, PhD, et al. 16. Weight Management Activities Among Black Women — Janet D. Allen, PhD, RNC. 19. Individualizing Pharmacologic Therapy for Weight Reduction — David J. Goldstein, MD, PhD, et al.